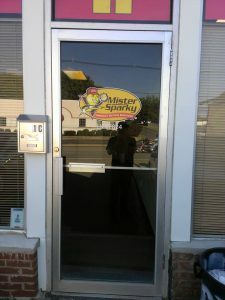 The first place you walk in “The Front Door” is a very important place for you to have proper signage, letting your clients/customers know where you are located with ease. 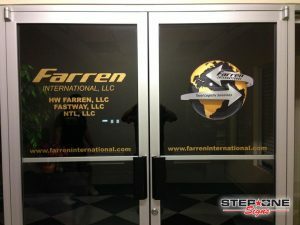 Use this as your first impression to show them you’re a serious business with a great image. 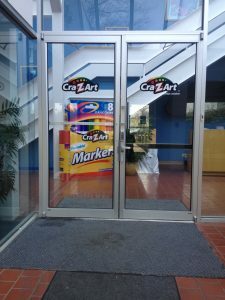 We are highly experienced in handling any environment from Corporate offices, small businesses, and store fronts. 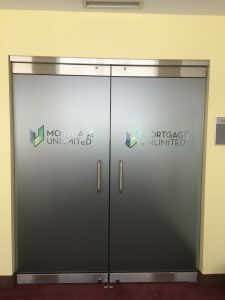 We can print and contour cut your logo, use layered vinyl, gold leaf applications, or our favorite etched glass especially for the corporate offices/ doorways.